Men are increasingly requesting cosmetic procedures. The Christman Plastic Surgery Center in Dayton offers male patients a variety of procedures, including Liposuction, Facelifts, Tummy Tucks or Abdominoplasties, as well as Neck Lifts, Eyelid Surgery, and Hair Restoration (Hair Grafts, or Hair Transplants). Male plastic surgery is becoming more common. Men with Gynecomastia, or Male Breast Enlargement, are electing to use Dr. Christman’s expertise in removing unwanted fat deposits (Breast Lipo) in order to reshape their breasts.Dr. Christman has over 30 years experience in creating more attractive breasts in men as well as women. A common request to help provide a more youthful appearance is the Facelift. The tightening of the skin and underlying structures (often performed in conjunction with fat removal in the neck), allows your face to look tighter and younger. Depending upon your needs, facelifts can be performed in our Dayton Plastic Surgery Center under local anesthesia or as an outpatient under general anesthesia at a local hospital. Body sculpting with Liposuction is an attractive option for patients with tight skin. It must be individualized to each patient. The Christman Plastic Surgery Center in Dayton provides liposuction procedures, helping many reshape their bodies into a much leaner version of themselves. 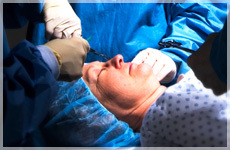 Although liposuction has its place, it is often best combined with skin resection if there is skin surplus. Don’t let sagging neck skin prevent your enjoyment of life. Dr. Christman specializes in reducing neck wrinkles and prominent jowls through Neck Lift procedures available in the Dayton Plastic Surgery Center. Contact us today about the affordable Neck Lift options available to you. Nasal augmentation or reduction may be desired for a variety of reasons. Some procedures can improve breathing by opening the nasal airway, while others are offered to improve one’s appearance. Nose jobs (or Rhinoplasty) are generally performed as an outpatient surgery under general anesthesia, but minor corrections can be performed under local anesthesia at the Dayton Plastic Surgery Center. For many, cosmetic surgery is the only way to achieve a flatter abdomen. A tummy tuck removes excess skin and fat, while also tightening the abdominal musculature. This is commonly performed on women following childbirth, but more men are also requesting this procedure. It should never be performed on smokers, as the risk of complications is elevated. It must be done under general anesthesia. The results can be stunning. 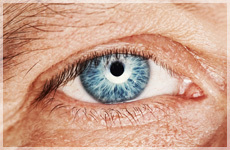 One of the most common areas to show the signs of aging is around the eyes. The lower eyelid bags and sagging of eyelids can be corrected with Eyelid Surgery (Blepharoplasty). This eyelid lift can be performed in the Dayton Plastic Surgery Center under local anesthesia, and will help provide a more youthful appearance to your eyes and face. Dr. Christman performs Hair Transplants using either strip grafts or punch grafts, depending on the patient’s needs and preference. Oral and topical medications are also used to improve hair growth. 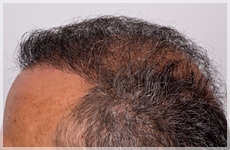 Advances in hair transplantation in recent years has allowed for superior results that are very satisfying to both men and women.